Profile of Weapon Used in Florida School Shooting - Integration Through Media ....! 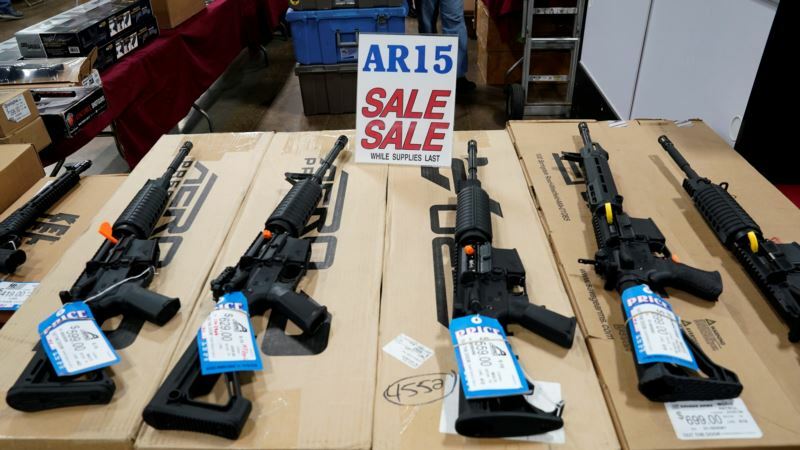 (VOA): Florida school shooter Nikolas Cruz used a weapon in the AR-15 family to kill 17 people and wound 15 others in Parkland, about 70 kilometers north of Miami. The National Rifle Association has called it the most popular rifle in America. And in Florida, it is easier to buy an AR-15 than it is to purchase a handgun. Some facts about Bushmaster AR-15 assault weapons: Origins: The weapon was first built in the late 1950s by Eugene Stoner, a former Marine and the lead gun designer at the ArmaLite Division of the Fairchild Engine and Airplane Corporation. The AR in AR-15 stands for ArmaLite, not Automatic Rifle, according to the National Shooting Sports Foundation. Shootings: It was used in five of the six deadliest mass shootings of the past six years in the United States — Newtown, Conn.; San Bernardino, Calif.; Las Vegas; Sutherland Springs, Texas; and now, Parkland, Fla. Versions: An automatic version of the weapon is used by U.S. soldiers and some police forces in the United States. The M-16 is the rifle version of the military weapon, and the M-4 is the carbine, a weapon with a shorter barrel. Modifications: The weapon is highly modular and customizable, allowing the user to modify the barrel, the stock, the magazine and other features, easily changing a weapon's characteristics such as weight, capacity, range and accuracy. Capacity: There are 30 rounds in a standard military magazine. Price: The average retail cost is slightly more than $1,000.